The process of pulmonary drug delivery is affected by many factors, such as inhaler design, formulation of the medication, airway geometry, and the drug absorption process. 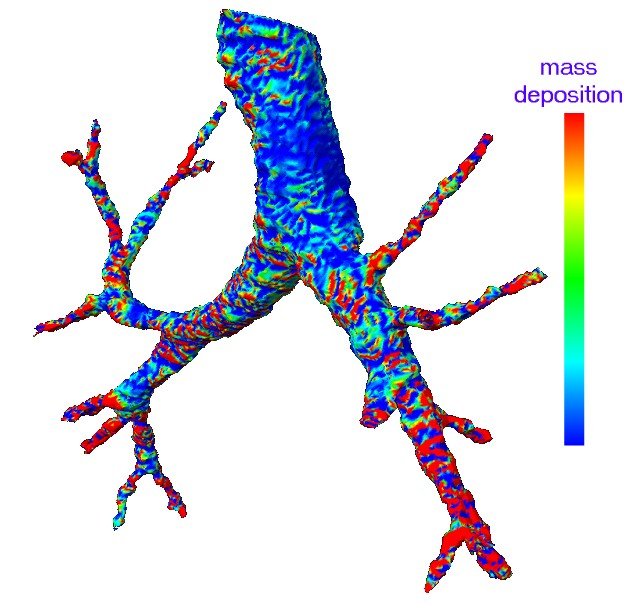 Computationally demanding 3D fluid dynamics simulation is used to calculate the pattern of air flow, and this step benefits from the use of Grid resources. An extensive demonstration is available. 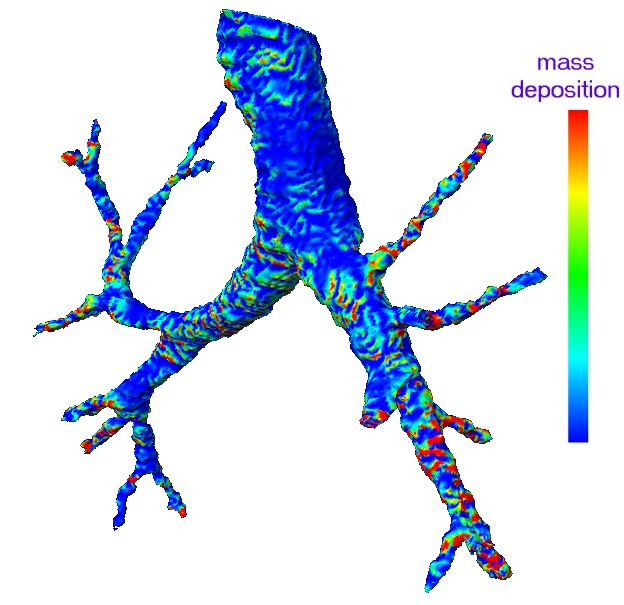 Figure 1: The figures show the deposition of water droplets in the lungs - smaller droplets penetrate deeper into the lungs.